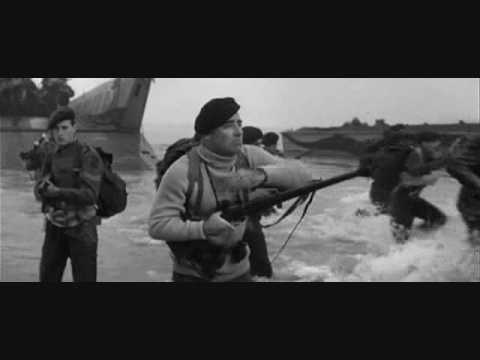 The Longest Day is a 1962 war film based on the 1959 history book The Longest Day by Cornelius Ryan, about "D-Day", the invasion of Normandy on 6 June 1944, during World War II. Producer Darryl F. Zanuck paid the author of the book, Cornelius Ryan, $175,000 for the screen rights to produce the film. 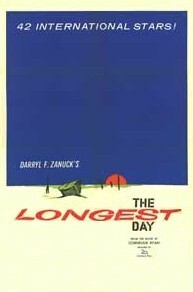 The film was adapted from the book by Romain Gary, James Jones, David Pursall, Jack Seddon, and the author himself. It was directed by Ken Annakin (British and French exteriors), Andrew Marton (American exteriors), Gerd Oswald (parachute drop scene), Bernhard Wicki (German scenes) and Darryl F. Zanuck (uncredited).